The Accommodation Desk is an ongoing travelling participatory art project that had its origins under the stairs at Articulate project space as part of Pillow Talk 2015. For Pillow Talk, I began collecting and swapping stories of how people accommodate themselves – in Sydney, now one of the most expensive housing markets in the world, and elsewhere – and how people’s accommodation experiences have changed over time. 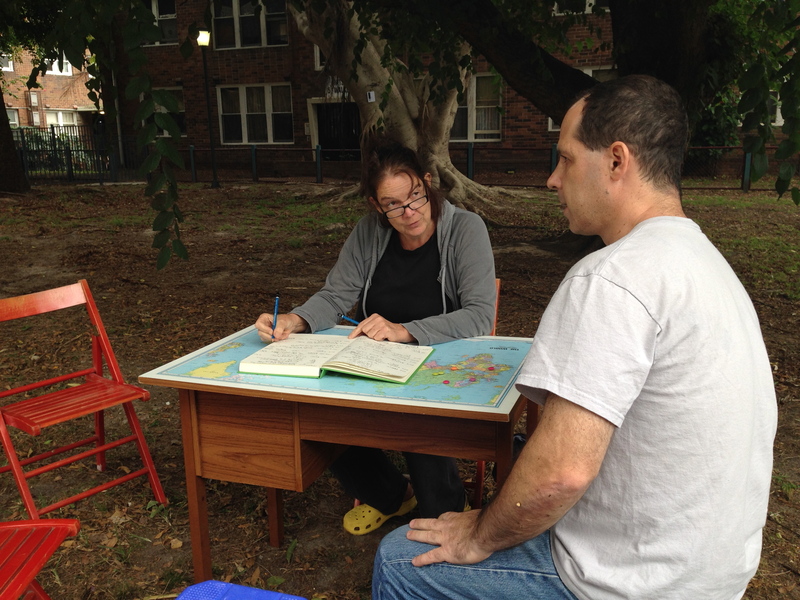 For the Redfern Biennale 2015, which took place in March around several blocks of low-rise public housing in Redfern, I sat at a desk under a tree and again talked to people about their accommodation past and present, this time recording the details in an informal ledger. I recorded, with their permission, the date, cost, type and location of their accommodation and how many hours they work/ed to pay for it. Locals and visitors to the area mingled around the desk. Two friends who had known each other for a couple of years sat down for a chat and by the time they got up again they had agreed to live together, one to move into the two-bedroom flat recently leased by the other. 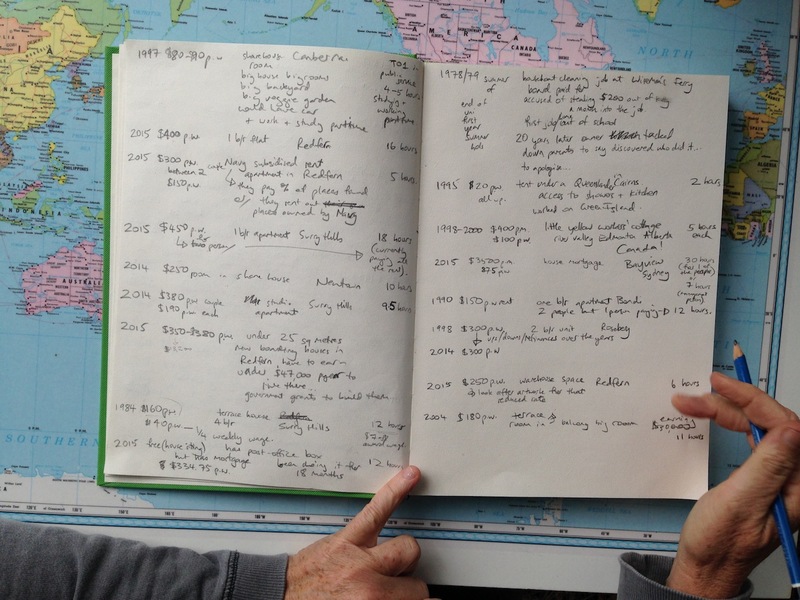 I will be taking this project on the road, around Sydney, around Australia, and overseas.